Aptly described as 'more boudoir than boutique', La Rosa brings a new dimension to the type of accomodation on offer in Whitby. There are eight lovingly furnished and rather wacky rooms occupying a building in which Lewis Carroll often stayed. The former coaching inn in the old town offers a stylish, updated take on traditional lodgings. The handsome guest rooms retain their original panelling, antique fireplaces and maritime air but you also get classy beds, big sofas and up-to-date bathrooms. Whitby's budget choice has the best location in town, right by the ruined abbey at the top of the 199 Steps (and overnight guests get free entry to the abbey too). The refurbished Abbey house has private family rooms, but dorms and a fully equipped kitchen are available. A restored contemporary townhouse with a modern twist, featuring striking rooms with vibrant colours and modern marble bathrooms. It's close to the train station, or just five minutes' walk from the harbour. An almost ridiculously rustic cottage tea garden set near the top of Falling Foss waterfall, five miles south of Whitby and in the eastern section of the North York Moors National Park. It's the perfect place for a summer lunch, or tea and cake, while the children paddle in the babbling stream or explore the surrounding forest. Many would argue that this is England's best fish and chip shop, and who are we to disagree? There is a daily queue of punters that snakes down the street in all seasons and weather, but oh how it's worth it. Chef Rob Green's handsome, easygoing bistro and restaurant kick-started the new Whitby dining scene and it still leads the pack, with a contemporary menu featuring locally sourced seafood. Reservations are pretty much essential at weekends and holidays. 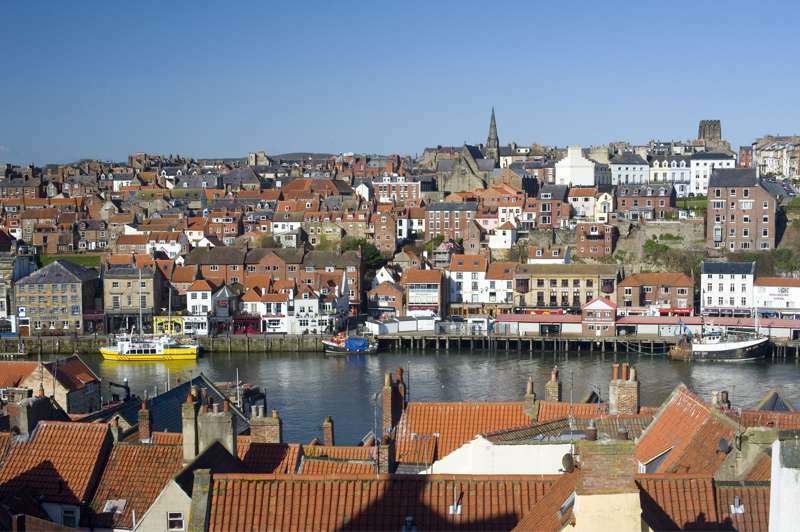 Easily the best views in town, but you have to take on the gut-busting clamber up the 199 Steps that run from the end of Church Street up to St Mary's Church and Whitby Abbey. An unmissable Whitby attraction. This old smuggler's haunt makes a great day trip. There's a fabulous 7-mile cliff-top walk from Whitby, and once you arrive you can explore the steep, narrow, cobbled streets or poke around on the rocky beach to your heart's content. Formerly a railway line from Whitby to Scarborough, the 21-mile-long Cinder Track runs alongside the finest part of the Yorkshire Coast. Great for cyclists and walkers and is riddled with quirks and highlights throughout.